98.9% of the construction waste was diverted from landfills. 46.4% of the furniture budget included salvaged furniture. 33% of the total value of materials were manufactured regionally—within 500 miles. 50% of the wood, by cost, is Forest Stewardship Council certified. 40,040 gallons of water annually estimated to be saved over code-minimum fixtures. Low-VOC materials and comprehensive green cleaning program. The Harvard Law School’s 125 Mount Auburn office renovation project team was committed to sustainable design and construction, as well as applying the Harvard Green Building Guidelines, from the onset of design and throughout construction. LEED-CI certification helped the project form and develop sustainability goals. Construction was undertaken in the summer of 2008, and the project earned LEED-CI Silver certification in March 2009. 125 Mount Auburn is located in the heart of Harvard Square in Cambridge, Massachusetts. The project, a 5620 square foot fit-out and renovation of leased office space on the second floor of the existing building, provides office space for twenty-two staff. 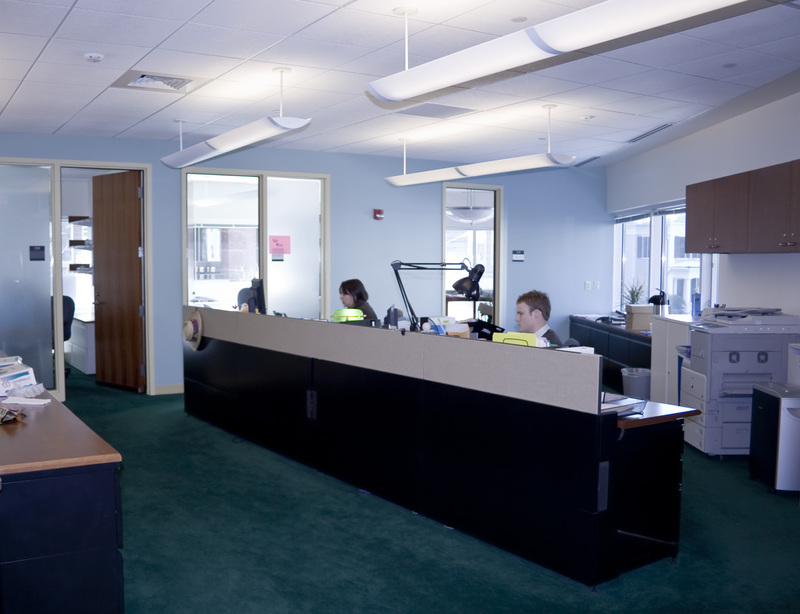 The primary objective of the 125 Mount Auburn project was to renovate the second floor to accommodate the Harvard Law School Financial Office and Human Resources, as well as create a remote office for Information Technology Services and a mailroom for the Alumni Relations group. In the Financial Office and Human Resource suites, there is a combination of private offices and workstations. Support areas include a small conference room for Human Resources, a guest waiting area in each suite, copier and storage facilities and centralized files.